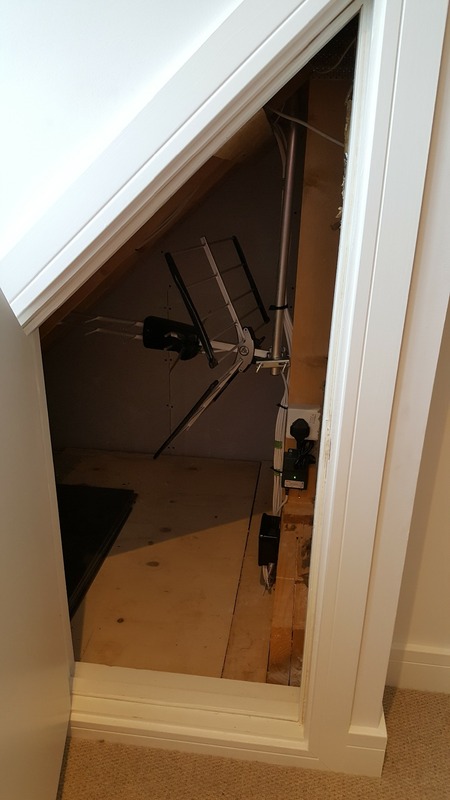 This was a tight squeeze but its in with a good signal from the Four lanes transmitter, installed with a 4 way Wolsley mast head amplifier - This preoperty was located Newham lane, Helston TR13OSA. 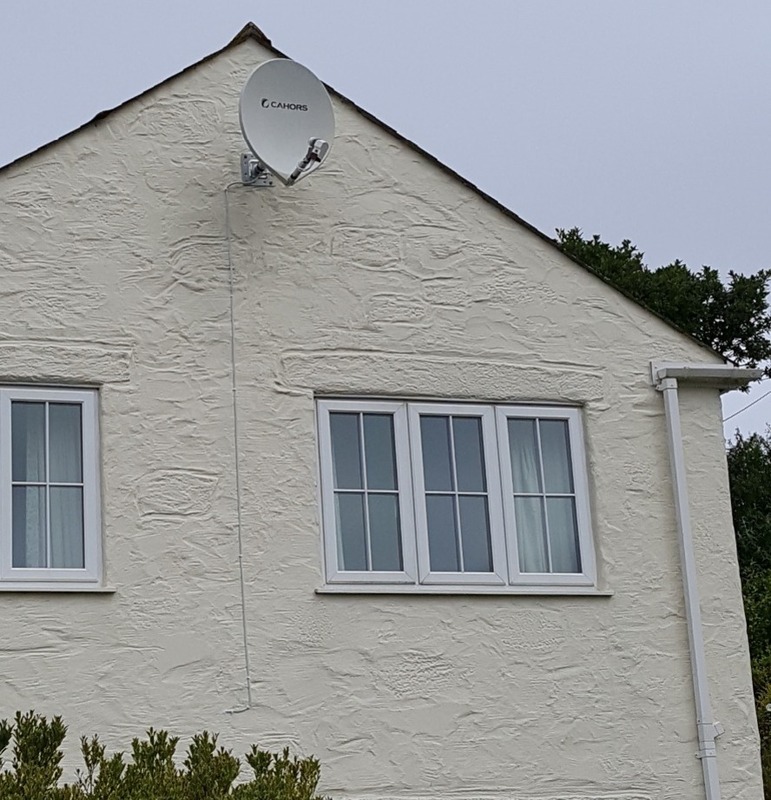 Freesat installation in Falmouth, Conway road. 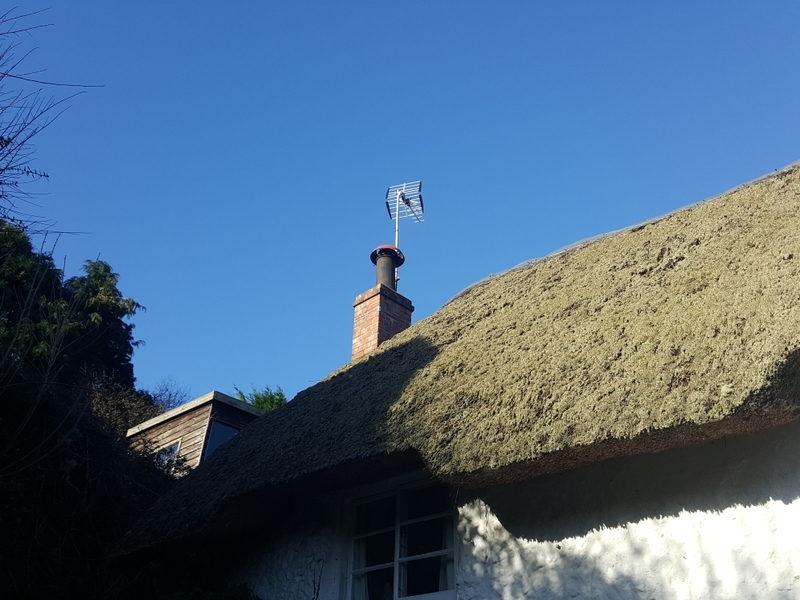 Here in Conway road, Falmouth, Cornwall, we have installed a standard mesh dish with a new feed cable supplying a Humax freesat box. 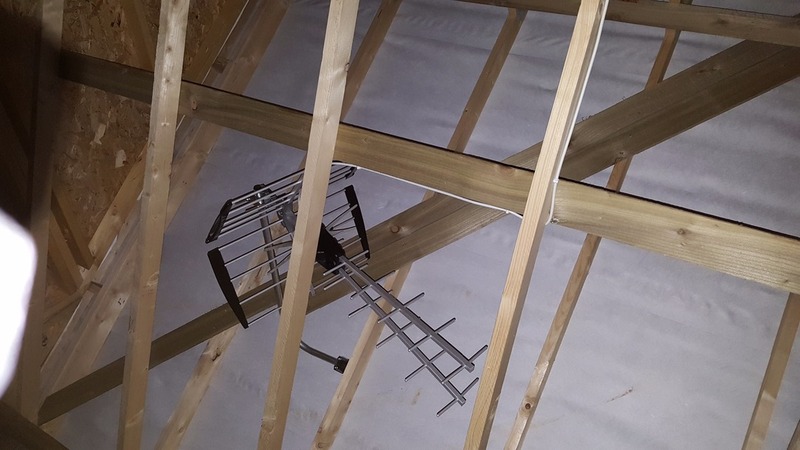 This is a property we visited in Manor way, Helston TR138LJ, the loft was very small in parts, but the developer had installed the cabling in the loft with no easy way to install a cable outside for an external Freeview aerial, after some crawling and struggling we installed a Freeview aerial in the most spacious part of the loft space and aligned it to get a very good signal from the Redruth, Fourlanes transmitter. 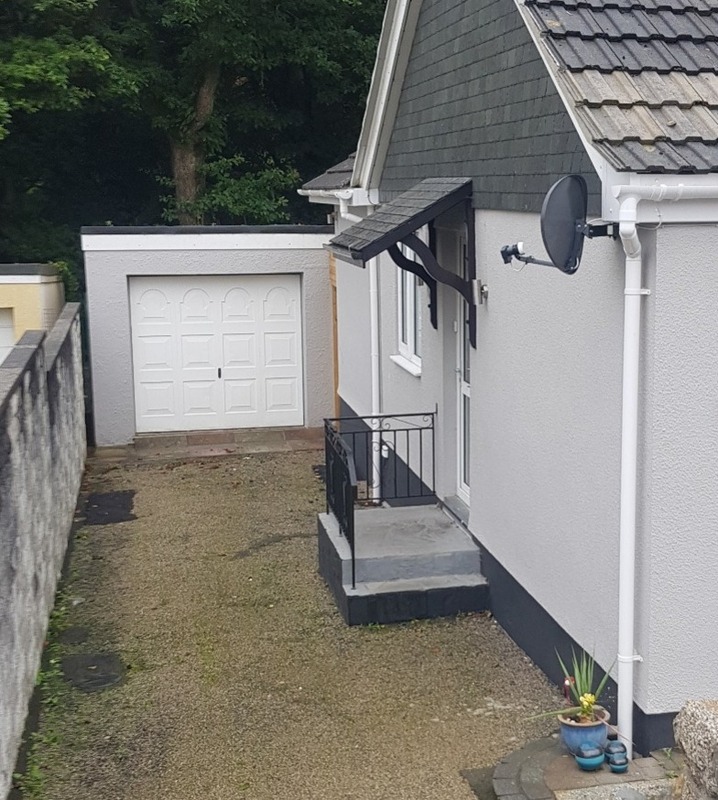 We arrived at this property in Penryn, Chandler park, TR109FL, Cornwall to find an aerial already installed but the aerial had no signal output, due to the aerial being mounted in a bad place and for some reason it was not aligned. 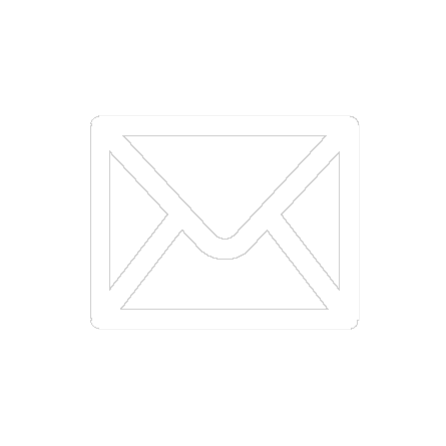 Soon after starting to align the aerial,we could see the aerial did not have a high enough gain so we replaced the aerial and mount with a Televes Vzenit mid range aerial which gave us a very good quality signal. 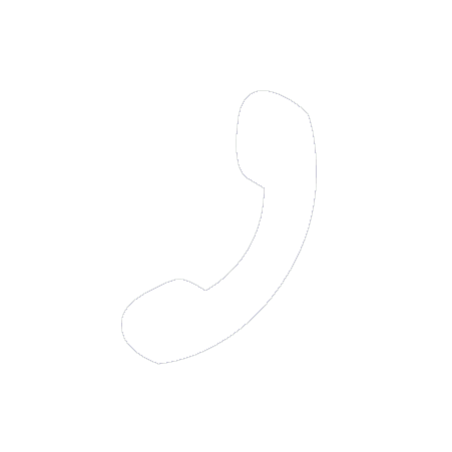 We also found that the amplifier had a fault and the connections to the splitter where badly made off reuktinf in some of the aerial outlets not working, once this was resolved we went on to the next stage - mounting the Tv on the wall downstairs. 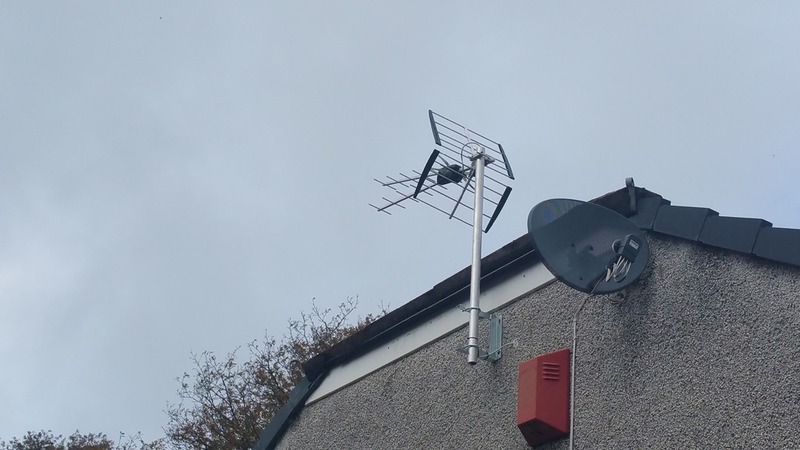 This Freeview aerial was installed in Dobbs lane, Truro, Tr13NB, Cornwall, this aerial now provides a quality Freeview signal from the Redruth, Four lanes transmitter to four rooms through a distribution amplifer in the customers loft space. 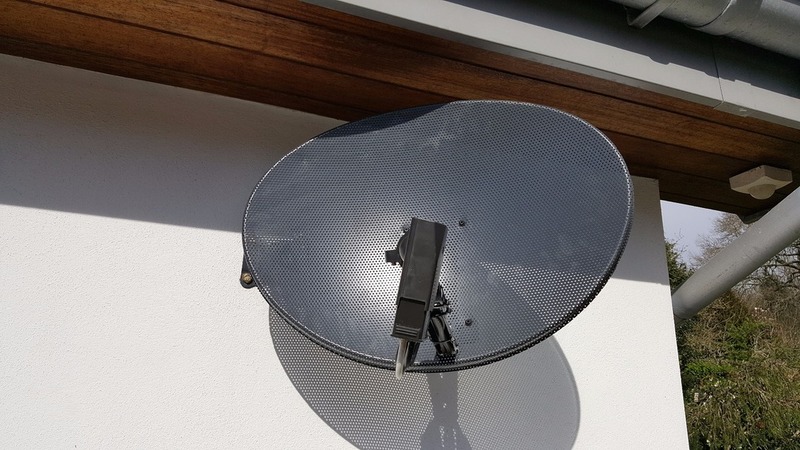 This dish was installed in Bosvean gardens, Truro, Cornwall, Tr13NQ, The Freeview signal here is very poor, this Freesat dish now allows the client to recieve all of the national channels with no monthly ongoing cost.